Hello everyone, I am raising money to produce my first book. I am so excited, it has been a long time in the making. For your support you get one book per every $20.00 donation, so you can buy one for a family member or friend as well. Make sure that you leave your information. You can also support this GoFundMe by sharing it with your network of friends, encouraging their support. I know that money can be tight, so please know that even $5 helps me get closer to my goal! Let me know if you have any questions and I’ll be happy to answer them. I am sharing the intimacies of my life stories with hopes to answer questions that many may have concerning the pain of their past, in relationship to the heart of a loving Father. I believe that this book will help those who suffer from feelings of rejection, abandonment and other forms of abuse to re-frame their thinking, in order to empower their destiny. 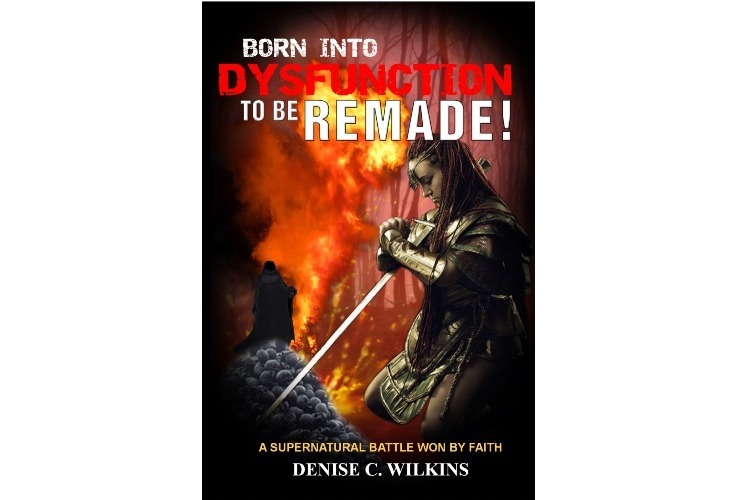 I dedicate this book to all those who have experienced the evil spirit of dysfunction. Below is a synopsis of my book. I hope you find it interesting. The god of this age has blinded the minds of unbelievers, so that they cannot see the light of the gospel that displays the glory of Christ, who is the image of God. 2 Corinthians 4:4. Her story takes the reader on a roller coaster ride through her dark, dysfunctional years, into her Kingdom experience. Her life’s journey made it clear that God’s plan is to use our suffering as a light in the darkness. Her touch with the supernatural made it clear that Jesus conquered the war but individually, we must all fight a battle that can only be won by FAITH.